1. Preheat oven to 200°C. Line a large baking tray with non-stick baking paper. Place a pastry sheet on the prepared tray and top with the remaining pastry sheet. Taking care not to cut all the way through, use a small sharp knife to make a 2cm-thick border around the edge of the pastry. 2. Keeping within the border, spread half the goat’s cheese evenly over the pastry base. 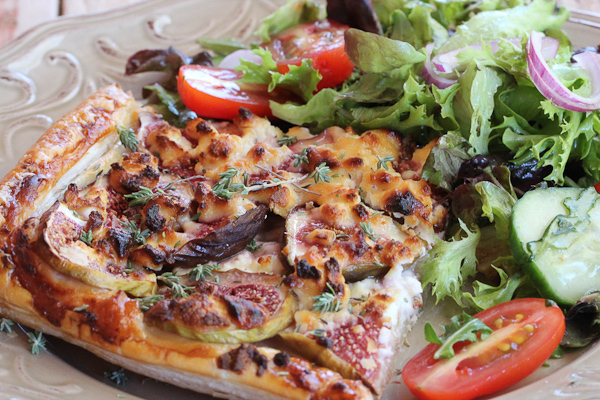 Arrange the fig slices over the cheese. 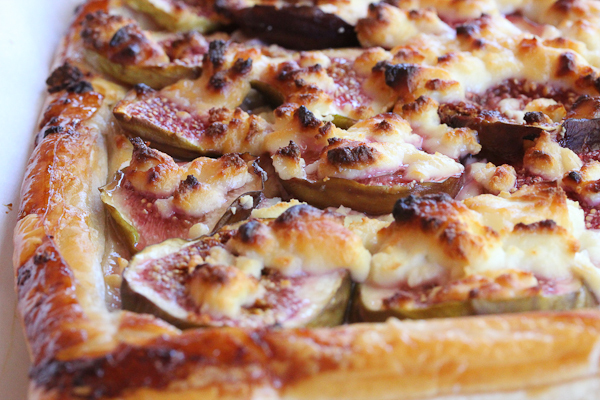 Crumble the remaining cheese over the fig. Drizzle evenly with honey. 3. Bake in preheated oven for 12-15 minutes or until pastry is golden brown and puffed. Remove from oven. Cut into squares and serve immediately.